chntpw program is written by Petter N Hagen. 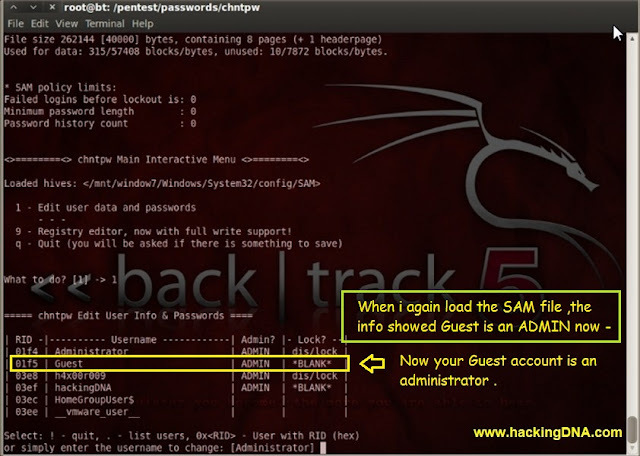 Convert your guest account into admin account. In this article we are just focusing on how to convert Guest account into Administrator. 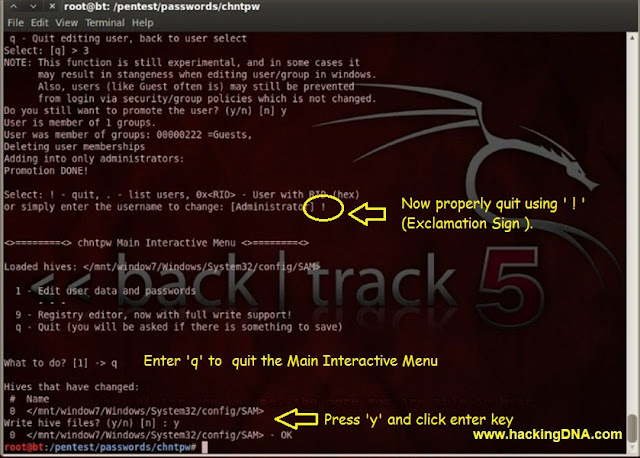 Backtrack Bootable CD or Bootable USB . and see the first section of this article . 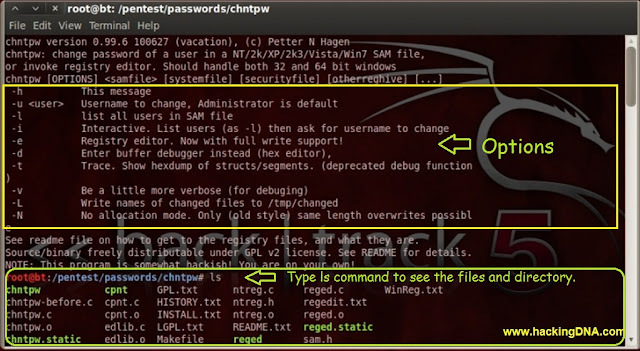 When you load the SAM file , the chntpw Interactive Menu will display , and then you have to select the option '1' (i.e. 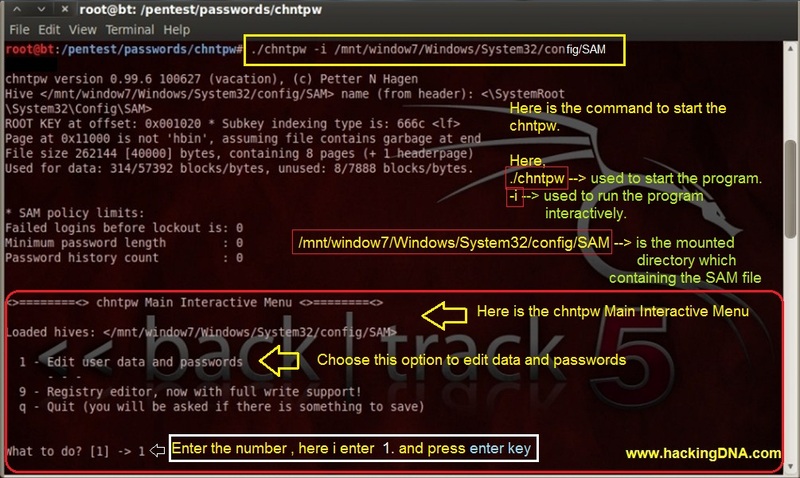 Edit user data and password). 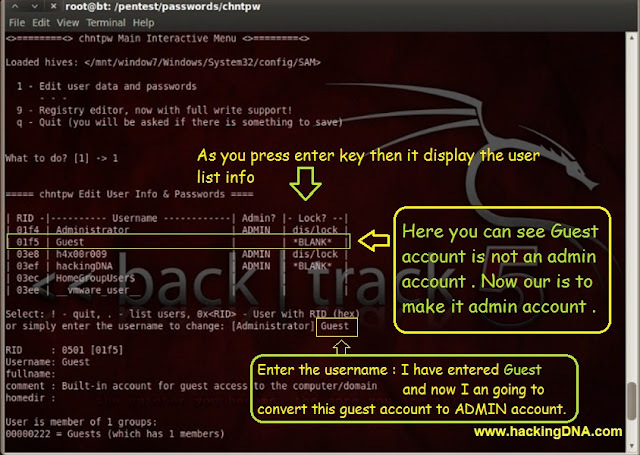 To make it admin account , follow the steps shown in the image . 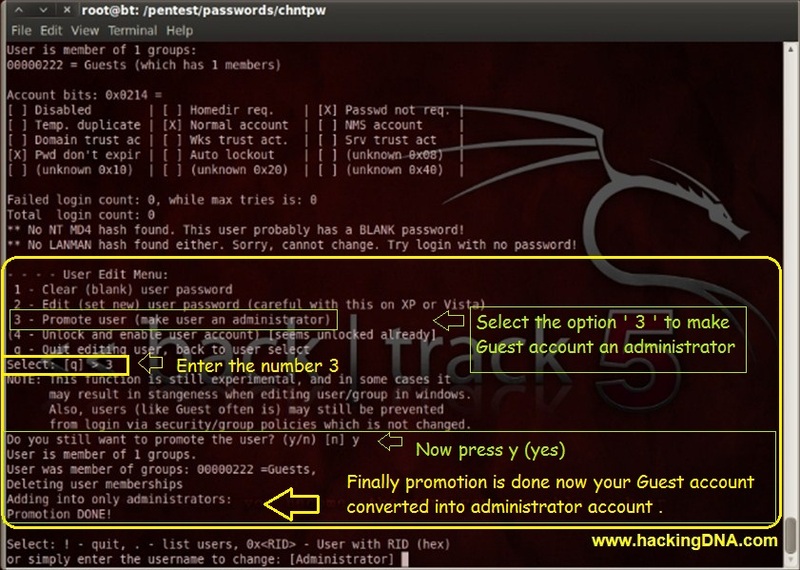 Then it will ask you - > Do you still want to promote the user : y (Type y(yes). 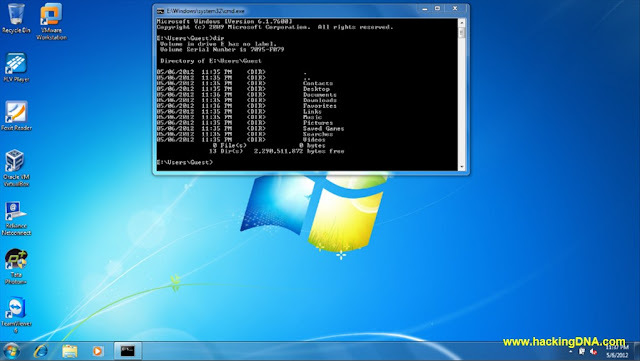 GUEST ACCOUNT IS CONVERTED INTO ADMIN SUCCESSFULLY ! BELOW IMAGE SHOWS THE GUEST ACCOUNT WITH ADMINISTRATOR PRIVILEDGE ! 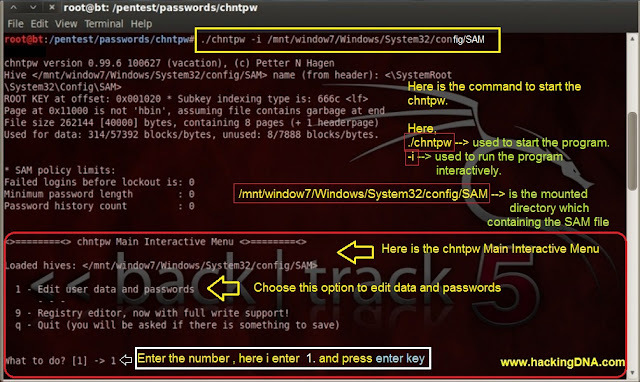 This is how we can use chntpw tool in Backtrack 5 to convert Guest into Admin Account . If you like this article then don't forget to comment . Your comment is very valuable for us. When I look in the backtrack menu i dont have chntpw when i do apt-get install chntpw i get it can not be found. what to do?